This 18.5-acre property overlooking Brandt Island Cove is owned by the Mattapoisett Land Trust and features an easy to walk trail through the woods to the waterfront. 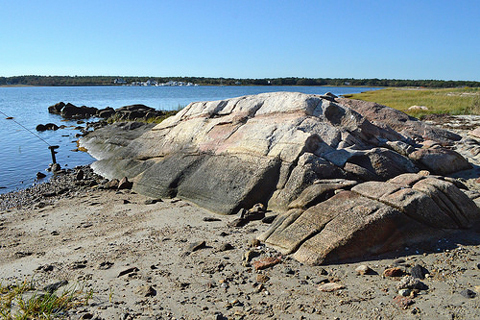 Children enjoy climbing on “whale rock” at the water’s edge and dogs love to splash in the water. This west facing shore is a nice place for watching sunsets. A map of the preserve can be downloaded here: Munn Preserve. There is a paved parking area on Mattapoisett Neck Road at the head of the trail. 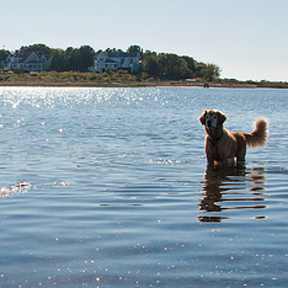 For more information, visit http://www.savebuzzardsbay.org/places-to-go/munn-preserve/.